Tungsten can be deposited using a CVD reaction; however, it requires several gas species. The most common CVD reaction for tungsten is tungsten hexaflouride plus hydrogen and silane. The hydrogen bonds with the flourine atoms, converting into hydrofluoric acid, which can then be pumped away in gaseous form. Silane, although not part of the main reaction, plays an important role in the overall deposition process. Tungsten hexafluoride requires electrons to dissociate. If there is a layer of tungsten, then the tungsten hexafluoride will obtain electrons from the tungsten causing it to dissociate. On bare silicon, the tungsten hexafluoride will attack and etch the silicon to obtain electrons. However, on an oxide layer, the process will not proceed because there are no available electrons for the tungsten hexafluoride. This phenomenon gives rise to selective tungsten deposition. The addition of silane provides the catalyst to start tungsten deposition on everything. This shuts off the attack on the silicon substrate, creating a blanket deposition. 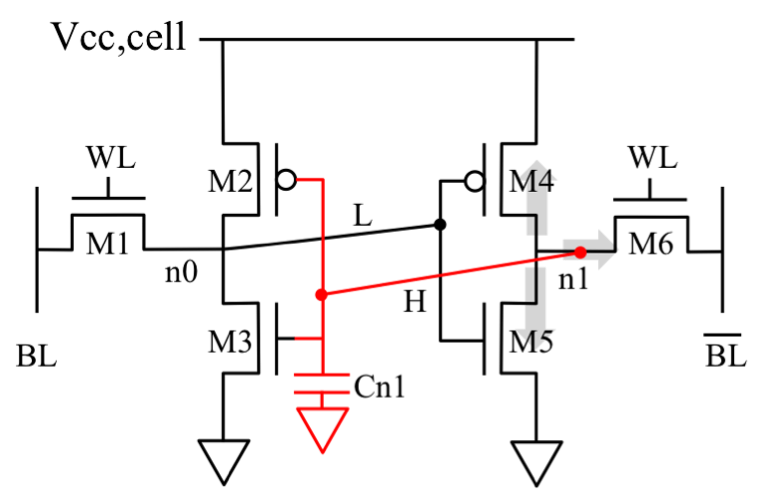 The CVD tungsten process is commonly used for vias. It yields very good step coverage. One can deposit tungsten in vias with diameters down to 0.1µm or better. The process applications for tungsten include creating interconnect plugs, or filling vias and contact holes, and creating local interconnect layers. Process engineers like tungsten for its ability to completely fills vias and contact holes, its thermal stability, its excellent conformal step coverage, the fact that its CTE closely matches silicon, its excellent EM resistance, and its excellent corrosion resistance. However, tungsten does have undesirable qualities like higher resistivity than that of aluminum alloy films, poor adhesion to oxides and nitrides--which precludes deposition in hot-wall reactor or quartz furnace tubes, the fact that it oxidizes above 400°C, and its cost. Let’s look briefly at the deposition conditions. Process engineers deposit tungsten in single-wafer cold-wall LPCVD reactors. The process gas is generally tungsten hexafluoride, but can be tungsten hexachloride. They use temperatures ranging from 300 to 450°C, depending on the process. The gas lines in the CVD system must be heated to prevent condensation. There are three possible deposition reactions: silicon reduction, silane reduction and hydrogen reduction. We show the basic chemistries and temperatures here. A few comments are in order about the reactions. The silicon deduction reaction is self-limiting at thickness around 10 to 15 nanometers. Engineers use the silane reduction reaction to produce nucleation layers for hydrogen reduction. They then use the hydrogen reduction reaction to deposit the bulk of film after silicon or silane reduction reactions. One can also use selective deposition to create tungsten for local interconnect layers and plugs. This is a selective process where process engineers deposit only on exposed silicon. There are two methods for doing this: selective and blanket tungsten deposition. Selective deposition is a two-step process with silicon and hydrogen reduction, or silane and hydrogen reduction, followed by tungsten deposition. This is not commonly performed. The more common approach is blanket deposition, which is also a two-step process. In addition to tungsten silicide, this is more commonly used for plug formation. These deposition processes require a very clean oxide-free surface. 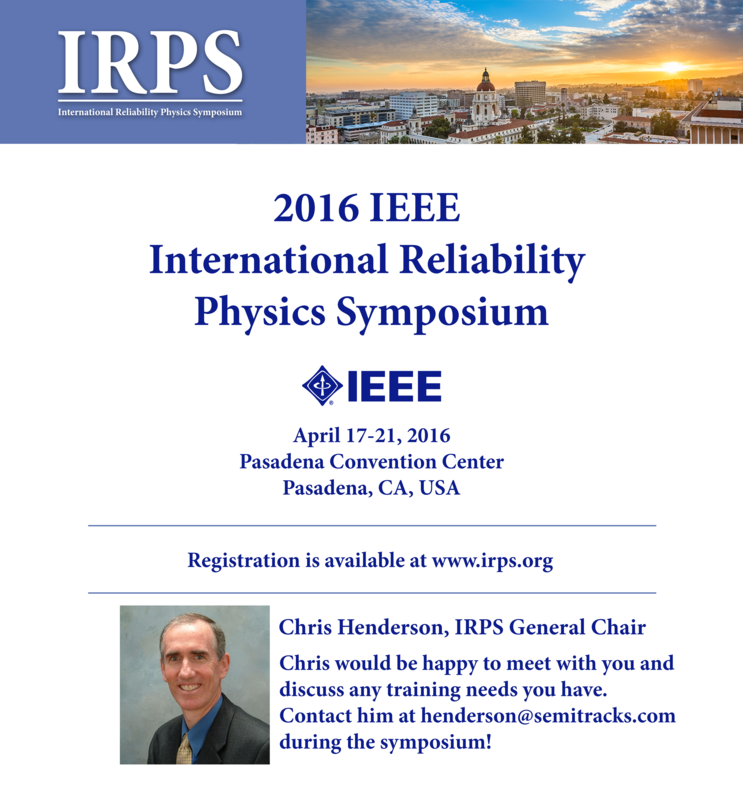 Let’s move on and discuss refractory metal silicide and nitrides. Process engineers use these materials in a supporting role in sub-micron metalization schemes, to act as barrier layers and adhesion layers. In fact, these materials can serve as both barrier and adhesion materials at the same time. They can be deposited by CVD or PVD. 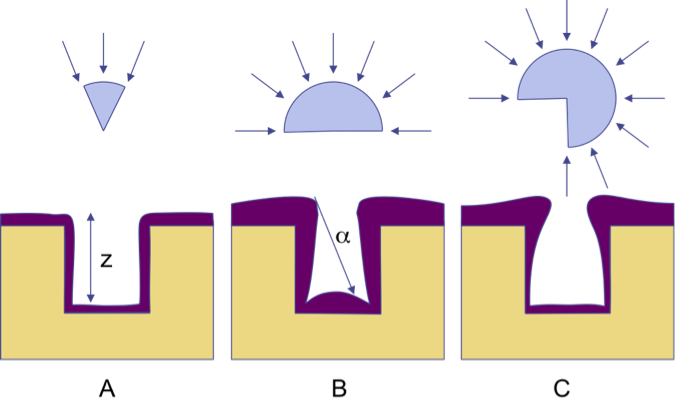 Some examples of common applications include aluminum-silicon contacts to create diffusion barriers and to prevent junction spiking; tungsten plugs, to create diffusion barriers and to protect the silicon from damage from the tungsten hexafluoride gases during tungsten deposition and to form adhesion layers between the tungsten and underlying films; and copper interconnect diffusion barriers, to prevent copper diffusion into the silicon dioxide and form adhesion layers between the copper and underlying film. Process engineers use chemical vapor deposition to deposit refractory metals such as titanium, cobalt, platinum, and tungsten. 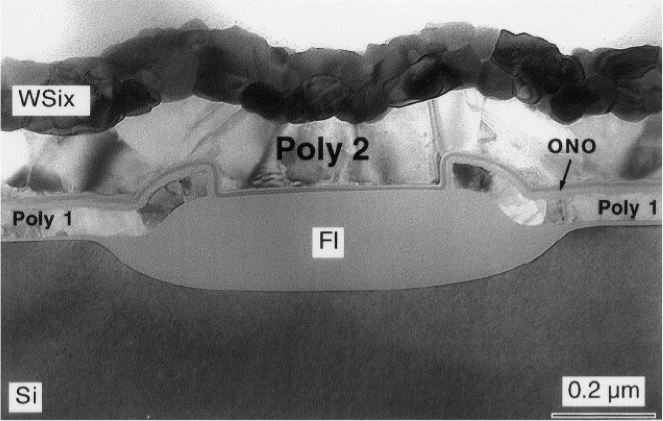 These silicide layers can form barriers to prevent silicon precipitates and aluminum-silicon junction alloying or reduce the resistance of silicon, and polysilicon connections, like we show on the right. CVD is the preferred method for silicides, such as titanium, cobalt, molybdenum (pronounced mal-lib-denum), nickel and tungsten. CVD is also extensively used for metal sandwich layers such as titanium and titanium nitride, and barrier metals, including titanium tungsten and tungsten. The main precursor for CVD titanium is titanium tetrachloride plus hydrogen, under the right plasma conditions. However, there is a potential for chlorine contamination in films. Titanium nitride is used as diffusion barrier in aluminum metallization schemes. There are several precursors used for CVD titanium nitride. One precursor system is titanium tetrachloride plus ammonia at 450 to 600°C. The reaction produces a film with decent step coverage. There is the possibility that chlorine atoms can become incorporated into the titanium nitride layer. Tetrakisdimethylamido titanium is another precursor that is commonly used for CVD titanium nitride. Abbreviated TDMAT it is a titanium with four nitrogen groups bonded to it. Each nitrogen group also contains two methyl groups. A related molecule with a similar ethyl molecule, TDEAT is also used commonly. Both TDMAT and TDEAT can decompose thermally. CVD reactions with both precursors cause substantial amounts of carbon in the titanium nitride film. TDMAT and TDEAT both yield very good step coverage. The reactions are performed at temperatures between 250 and 400°C. TDMAT and TDEAT can be used in conjunction with ammonia to reduce carbon incorporation. However, the step coverage becomes worse. Chemical vapor deposition of tantalum is relatively new. Tantalum nitride serves as a liner to stop copper diffusion. Tantalum has a similar chemistry to titanium, but it is five-fold coordinated rather than four-fold. The precursor work is still in development at this time. There has been some work using methyl and ethyl amido complexes. These are some of the more promising chemicals for this effort. Others are experimenting with depositing tantalum oxide, and exposing the metal oxide film to a thermally or plasma enhanced nitrating gas, preferably comprising nitrogen, oxygen, and ammonia. Since the uses for tantalum nitride involve very thin layers, this processing is covered more with Atomic Layer Deposition. Let’s now discuss chemical deposition of other metals. Aluminum and copper are the two most common metals used for interconnects. Researchers have experimented with aluminum CVD processes, but in general have not been able to develop reliable processes. Several possible precursors such as DMAH (dimethyl aluminum hydride), and DMAA (dimethyl amine alane) have been investigated. This class of compounds is generally liquid at room temperatures, and extremely pyrophoric. It is possible to do selective deposition for “better” via fill. Because of problems associated with these materials CVD aluminum is not likely to be used anytime soon, if ever. Researchers have also worked with CVD copper processes. They have investigated various metalorganic precursors, such as CupraSelect, developed by Schumacher. It is commonly written as (HFAC)Cu(TMVS), where HFAC is hexafluoroacetylacetonate, and TMVS is trimethylvinylsilane. These molecules have long, complex structures. While several CVD processes give good step coverage and deposition rates, they are overshadowed by electroless plating. Electroless plating provides better deposition characteristics, and is used widely in the industry today. Chemical vapor deposition of low-k dielectrics is even less developed. Most researchers are developing spin-on materials that are deposited in liquid form. There are two potential areas where chemical vapor deposition of low-k dielectrics may take off. One involves the deposition of paralyne. Paralyne is an organic polymer. It can be evaporated and transported over the wafer where it will condense back into a polymer film. It is very straightforward to perform. Researchers at Texas Instruments have worked on this process. Researchers have also worked on CVD of carbon films. Carbon films can be deposited from methane or fluorocarbons. Both Sharp Semiconductor and Applied Materials have worked on these films. Let’s move on and discuss step coverage. This is an important issue for both physical and chemically vapor deposited films. We defined step coverage using this equation. For conformal coverage, there is equal film thickness over all the topography--or in other words--the vertical and horizontal surfaces have equal film thickness. If we examine conformal coverage in a mass-transport limited system, we find that film thickness at a given point is a function of the reactant flux, which is in turn a function of pressure and adatom migration. If the adsorbed reactants can migrate easily across the surface, they will be found with equal probability on any part of the substrate, which results in conformal step coverage. The adatom mobility is a function of the adatom species and energy, so higher substrate temperatures and ion bombardment will enhance adatom surface migration. 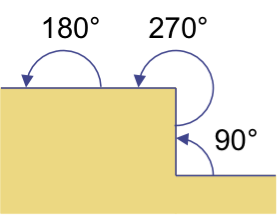 In general, the step coverage is a function of many factors, including film species, reactor design and deposition conditions. The coverage is affected by the arrival angle of particles. The arrival angle theta is the angle of incidence of the arriving species. We will discuss three examples to illustrate this point. If we look at CVD deposition of silicon dioxide from silane, we know that the sticking coefficient of silane is high and the surface migration is low. We also know that with atmospheric pressure CVD, the mean-free path is quite low. These frequent collisions will create random arrival angles, so the flux is directly proportional to the range of arrival angles. Those angles will depend on the topography of the chip, so top corners will produce overhang, and bottom corners will produce bottom corners. The figure at the bottom right shows the concept of arrival angle and its effect on step coverage. In the second example, let’s look at the deposition of silicon dioxide from silane using low pressure CVD. With this technique the mean-free path is long, so the atoms follow straight-line trajectories, which can lead to shadowing. This can produce re-entrant profiles near the bottom of steps. In the third example let’s look at plasma enhanced CVD of silicon dioxide from TEOS. Here, the mean-free path is long, but the adatom migration rate is also high. This creates a more conformal layer, which can be useful in certain circumstances. So the main factors that affect step coverage are the reactant arrival angles, which are a function of chamber pressure, and the adatom migration rate, which is a function of substrate temperature and ion bombardment. This slide shows schematic diagrams with different types of step coverage. Figure A shows conformal coverage resulting from rapid surface migration. Figure B shows non-conformal coverage for a long mean-free path and no surface migration. Figure C shows non-conformal coverage for a short mean-free path and no surface migration. Notice the overhang that forms at the top corners. Sometimes, engineers will measure these step coverage features to monitor a process. 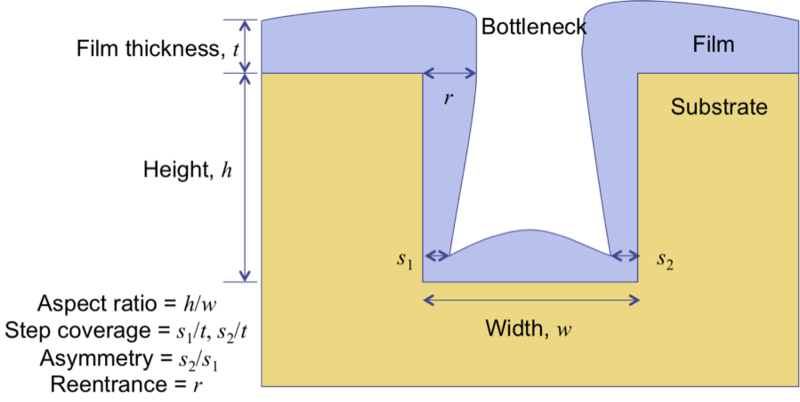 This diagram shows the deposition of a film into a hole having a high aspect ratio. A bottleneck may develop due to the buildup of an overhang on the top corners. We define the film thickness, width and height of the hole. We also define the aspect ratio, step coverage, asymmetry, and reentrance of the film using the variables on the left. Supply-voltage scaling or reduction has been a key approach to achieve low-power consumption in advanced SOCs and microprocessors. We typically denote the supply voltage as either VDD or VCC. However, voltage-scaling in the SRAM block is challenging because the read, write, and hold stability of the SRAM are influenced by increased voltage variations at lowered VDD. Several years ago, design engineers introduced the transient voltage collapse (TVC) technique for modern SRAM architectures to achieve low-voltage operation and higher density SRAM cells. Reducing the SRAM cell supply voltage (VCC,cell) during write operations has been proposed to reduce competition between transistors M4 and M6 (or M2 and M1) in 6-transistor SRAM structures (see Figure 1 - upper left). In order to achieve consistent writing conditions, M2 and M4 should be weaker than M1 and M6, respectively. Lowering VCC,cell voltage below the threshold voltage of M2 and M4 makes drive of these transistors very weak. Consequently, the write-stability becomes less sensitive to the process variation and/or VCC variation at low VCC voltages. 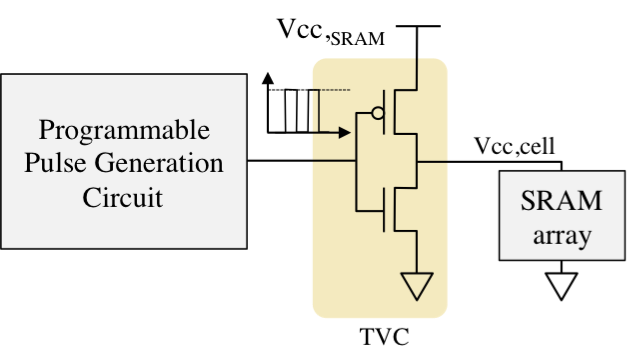 Therefore, when one connects the TVC circuit directly to VCC,cell, it briefly collapses the VCC,cell voltage to near 0 V during the write operation. This idea is widely adapted in modern Systems on a Chip (SOCs), graphics processor units (GPUs), and microprocessors, which are currently available on the market. Figure 2 (lower right) shows a circuit diagram of the TVC circuit which generates a transient VCC,cell droop with varying durations through a programmable pulse generator. Q: I have performed an autoclave test with the parameters: 120°C, at 85% relative humidity for 168 hours. I want to know the acceleration factor related to normal conditions like 25°C and 55% relative humidity. Which formula do I use to calculate the acceleration factor I have simulated with this test? A: The main equation to use for your work, given that you are accelerating both temperature and pressure, would be the Peck Model. However, we need to know several other parameters in order for you to make a calculation. First, we need to know what failure mechanism or mechanisms you are interested in modeling. Is it bond pad corrosion? Is it leakage between pins on the outside of the package? Internal leakage? Once we know the mechanism, then we can figure out what we need to use for an activation energy (EA) and a humidity exponent (a). Second, are you also accelerating something where voltage is involved?